« Low Carb Keto Kale Chips Recipe – Crunchy, Cheesy and Gluten Free! Keto Matcha Tea Fat Bomb for Egg Fast and Shakes! If you are a fan of Matcha teas and are doing the Egg Fast then you will love this Matcha Tea Fat Bomb. If you have done the Egg Fast before then you know that one of the challenges is to get those fats in. This is a delicious way to accomplish that. It is easy to make, full of antioxidants and good clean ingredients. I blew my own mind by throwing a couple of these into the blender with water, ice and an egg! Yummy! Matcha Tea is a bit of an acquired taste but everyone I know who drinks their Matcha tells me that it is strangely addictive. For me that is so true! I drink 2-3 cups a day without sweetener and I find it delicious and satisfying. 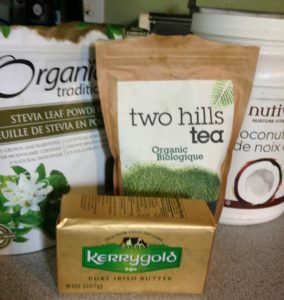 A bag of organic Matcha Tea might seem pricey, BUT you only use a tiny amount, like about 1/4 teaspoon. I can fill my mug up 2-3 times with boiling water re-using that same powder! It just seems to last and last even with that tiny amount! I like to eat these fat bombs straight from the freezer but you could also let 1 or 2 of these matcha tea fat bombs melt into a cup of boiling water for a delicious tea. Let’s get right to the recipe, but do check below the recipe for the benefits of matcha tea. It’s good stuff! Products that I used to make these fat bombs! Because silicone molds are floppy, I place mine on a small firm cookie sheet and place that in the freezer. Yes, I’ve dumped fat bomb stuff in my freezer before, not fun! If you don’t want to microwave, use a double boiler or heavy sauce pan on low heat. Make your first batch using only 1/4 tsp matcha unless you are used to the taste already. Keep them in a sealed container or ziploc bag in the freezer. 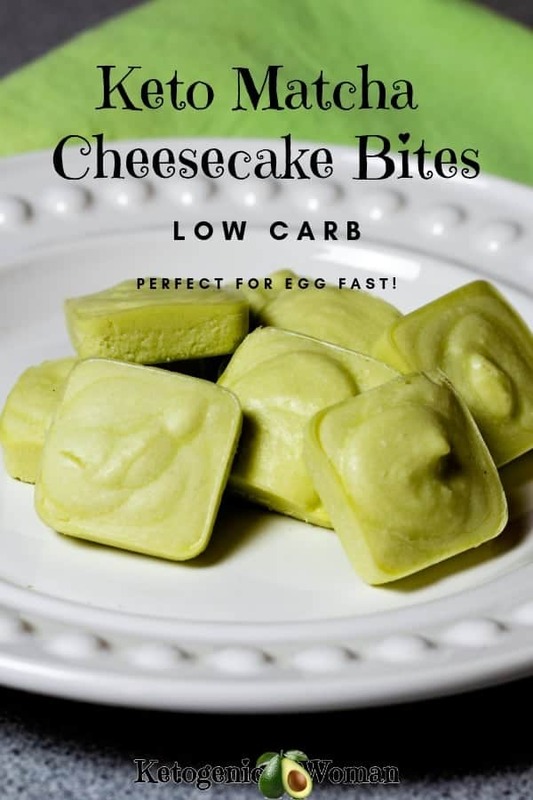 Low Carb creamy bites that taste like cheesecake! You can eat them as is or throw them into a shake! For the Egg Fast: 2 of these Matcha Green Tea Fat Bombs equal 1 fat, 1/2 oz cheese. 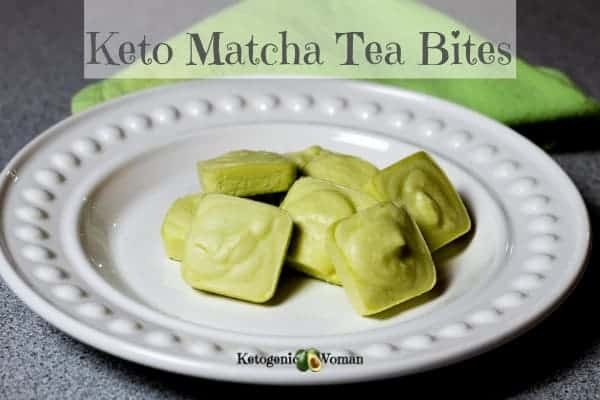 So not only will these Matcha Tea Fat Bombs get you through an Egg Fast day, they are equally beneficial to use in your everyday keto diet! Pin these Keto Matcha Cheesecake Bites to Pinterest! 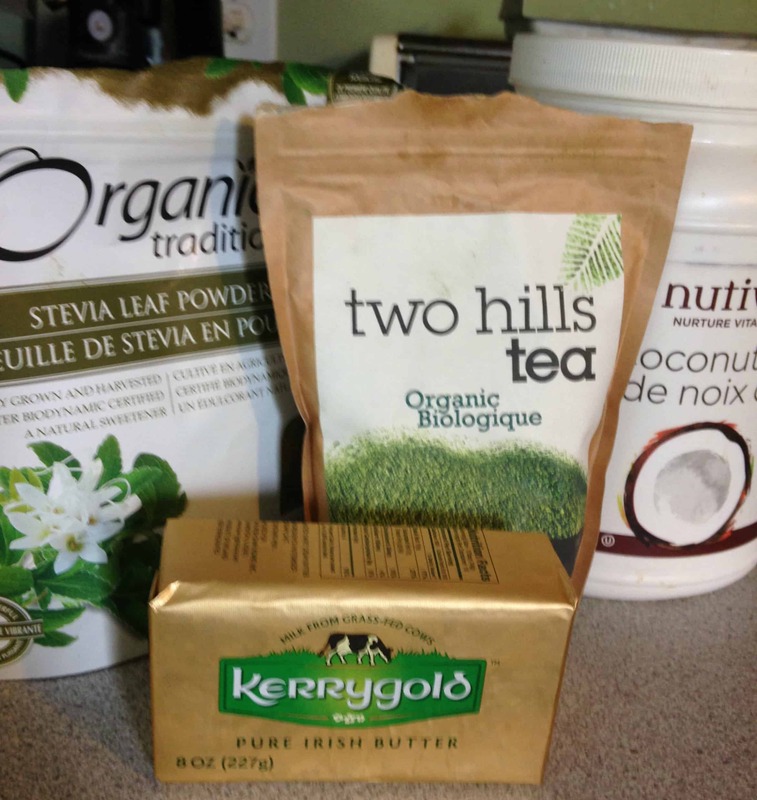 Tagged egg fast diet, low carb fat bombs, matcha green tea recipe. Bookmark the permalink. 2 Responses to Keto Matcha Tea Fat Bomb for Egg Fast and Shakes! These were great! I had been looking for the perfect fat bomb recipe using matcha green tea! So glad I found this!! So happy you liked them!